So I figured out why I never sent you an e-mail specifically about Passover, even back in 2007 when I would get concerned notes from you wondering if something was wrong because you hadn’t heard from me in 5 days. The reason is that it is just not possible to capture Passover in a single e-mail. No, not even a Daniella Standard Size e-mail. So what we’re gonna do is make it a series. In Part I, I will discuss the general concepts of the holiday. In Part II, I will go into detail about the Seder night and the Haggadah. As you probably know, Passover is the celebration commemorating our freedom from slavery in Egypt, also known as the Exodus. You know, slavery, burning bush, ten plagues, splitting the sea, all that jazz. The first night (or two nights outside of Israel) is the crux of the holiday: the Seder night. You may have heard of the Seder; it is believed to have been Jesus’s “last supper” (hence the proximity to Easter). As mentioned, we will elaborate on the Seder in Part II. 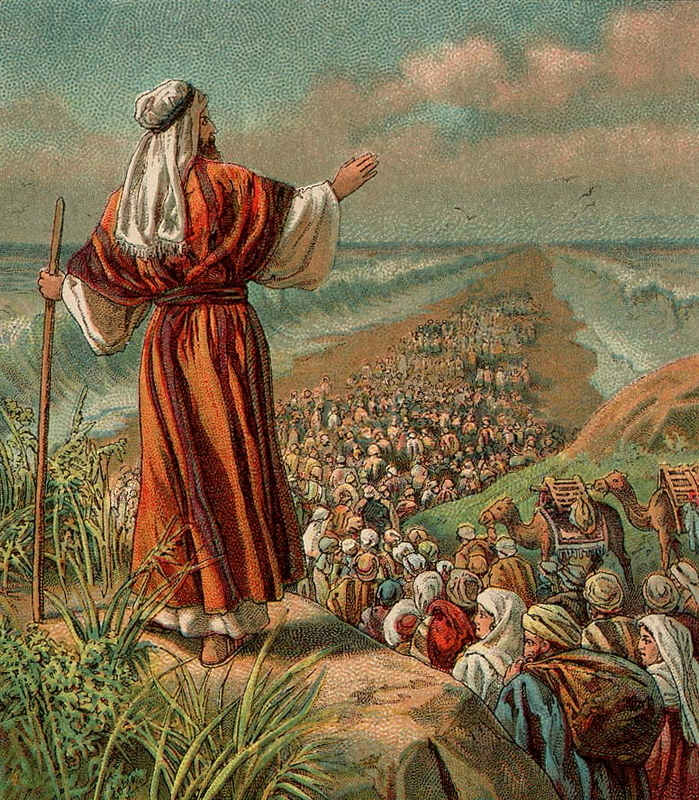 But first: why is the Exodus such an important event in the history of our people? There is a vast amount of rabbinic literature that addresses this question, but here’s the simple answer: the Exodus marks the birth of the nation of Israel. The narrative of the Bible, up until that point, follows a number of individuals, or at most a family, and their interactions with God. We became a multitude under slavery; we became a nation, with a destiny and a purpose, when God gave us our freedom. It is said that God wanted us to be slaves before giving us the Torah to develop our sense of empathy and justice. You can never really understand someone until you’ve experienced his pain. And you can never know and appreciate the true value of freedom if you have never been a slave. Our purpose is to be a “light unto the nations”, to spread kindness, compassion and justice throughout a corrupt world. We could not have done this without first knowing pain, cruelty, and injustice. So, that’s freedom, and education. “National obsessive-compulsive disorder”?! Well… yeah. This is another thing that makes Passover so special, and also such a pain in the neck. Over the seven days of Passover, we are not allowed to eat or possess “chametz“. Chametz means leavened products. That is, any product made out of grain (wheat, barley, oats, spelt, or rye) and water that was cooked over 18 minutes after the flour came in contact with the water–therefore beginning the process of fermentation that causes the dough to rise and become puffy. Um… wait, you say. Is there any type of grain product that is baked in under 18 minutes?! Why yes there is. It’s called… matza. 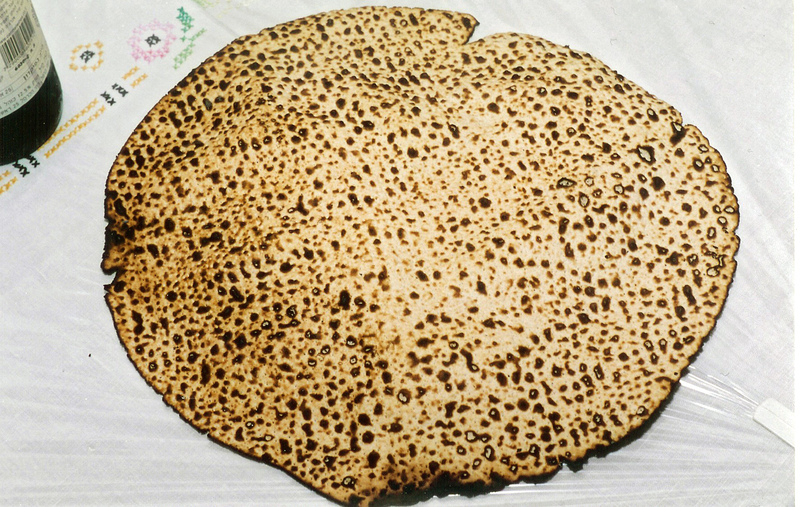 “Shmura Matzo“. Licensed under CC BY 2.5 via Wikimedia Commons. So what’s the deal with unleavened bread? The practical answer is that the Israelites were granted their freedom very quickly and they did not have time to get ready for their trip out of Egypt. The Torah says that they did not have time to let their dough rise for bread, so they made matzot to take on their journey. The prohibition against eating chametz, and the mitzva of eating matza, are both in commemoration of that. There is also an idea that chametz represents the ego, and that on Passover we clean it out of our homes and souls. So the thing is, you know how obsessive-compulsive Jewish law is about things we’re not allowed to eat… and this applies to chametz too. In fact, it is even more strict than the laws of kashrut. This means that we have to literally kasher our kitchens before the holiday. (Which, as I’ve been trying to tell you all these years, is not nearly as fun as you think it is. 😛 ) Most of us have an entirely different set of dishes and cookware set aside specifically for Passover, because not everything can be kashered, and because, again, kashering pots and pans can be a serious pain. We are also not allowed to own any chametz, which means we have to clean our houses thoroughly (especially us parents of toddlers…) to make sure no bits of crackers/cereal/bread are in accessible places. People (by which I mean “crazy Jewish housewives”) often take this to the extreme and use it as an opportunity to do a very thorough “spring cleaning”… but much of this is not really necessary. The prohibition against eating chametz also gave way to the most famous of legal fictions in Jewish law. Obviously, getting rid of all one’s chametz can be impractical at best and financially damaging at worst, especially for stores and factories. So we have a rather silly solution: we “sell” the chametz to a non-Jew during the seven days of Passover, keep it covered/hidden during the holiday, and “buy” it back afterwards.